"Through it all, Sundance Marketing has engaged many talented professionals who care about our growth, our customers and our staff." The target audience was women who want to look better but don’t want invasive surgery. The creative strategy was to position and promote Dr. Elizabeth Arthur as the core strength and differentiator of the business. Designed new print ads that celebrate the beauty of the target audience and the professionalism of Dr. Arthur. Increase cosmetic patients to over 56% of total client base from 15%. Named Rochester’s Choice for Favorite Medical Spa 3 x, by Democrat and Chronicle readers. 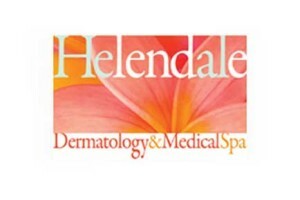 “We hired Sundance Marketing in 2008 to help us take our business from being primarily a dermatology practice to becoming a more balanced medical spa and dermatology practice. Sundance first helped us brand our business to allow for the growth into the medical spa business. We developed a new look and voice including logo, tagline, brochure and gift cards. We positioned our Dr. Elizabeth Arthur as a specialist in healthy, beautiful skin. Then we promoted our new brand through television, local print, radio, and regional national magazines to target women, strengthen existing relationships and grow the business. We have achieved all our goals to date. We are now recognized as a leader among medical spas and are the most recognized in the community. Our business has grown at least a 15% growth each year since 2008. Our brand is strong: we have even incorporated it into beautiful artwork for our offices and unique merchandising items that support our business. We have been awarded the 2012 RAMA Online Marketer of the year Award, the 2012 Communicator Award, the 2011 Pixie Award and the 2010 Bronze Telly Award for our TV commercials.